We are delighted to premier Shame On You, the excellent Dylan Thomas inspired track from Clowwns’s forthcoming debut album. Based on this two minute psychedelic rock gem the album, The Artful Execution of Macho Bimbo, looks like one to check out when it is released in January next year by one of our favourite labels Bleeding Heart Recordings. C L O W W N S – Shame On You from Horn Blower on Vimeo. For the literary types among you Shame On You is influenced by Dylan Thomas’s poem Do Not Go Gentle In That Good Night. For the illiterary types among you just enjoy the great music instead. Clowwns are Andrew Claridge (guitar), Miles Heathfield (vocals), Damo Waters (drummer) and Etienne Rodes (fuzz bass). For more information visit their Facebook page or Bleeding Heart Recording’s homepage. This is the Alice In Wonderland influenced video for ‘Psych #1’, from the forthcoming album 854. 854 is the debut album from Eyelids, a band fronted by Chris Slusarenko and John Moen from Neon Filler favourites Boston Spaceships (amongst many other bands). The album is out on October 14th on Jealous Butcher and we’ll post our review next weekend. 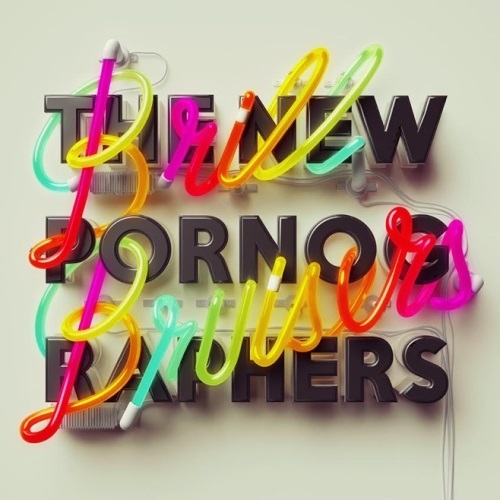 On August 25th The New Pornographers release their new album Brill Bruisers on Matador records. To promote the release the band have made a video available for the song ‘War On The East Coast’ available on YouTube and you can watch the clip below. The song is sung by Dan Bejar, also of Destroyer, and described by A.C Newman as being influenced by “mid-nineties second-tier Britpop attitude”. London based Italian act M+A were the deserved winners of this year’s Glastonbury Festival Emerging Talent Competition. Here’s a clip of one of two tracks they performed at the competition’s finals at Pilton on April 5. This one is particularly reminiscent of Euro-popsters Yello. Great performance. 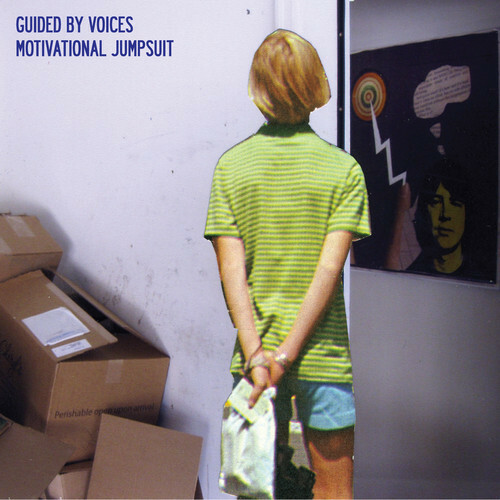 Motivational Jumpsuit is the first Guided By Voices album since “drumgate” and as such slightly less of a classic line-up album than their previous post-reunion releases. Changes on the drum stool aside this is an album that continues the general style of the last four releases and may well be the strongest of the bunch. At first I struggled with the album, it seemed very straight and focused but lacking in anything to really grab my attention. Coming back to it a few weeks later my response couldn’t have been more different. To start with the album opens with ‘The Littlest League Possible’ a perfect 80 seconds of psyche-punk-pop reflecting on being a cult musical concern. It is followed by ‘Until Next Time’ which proves to be one of those proper lo-fi low off-key gems that could be on pretty much any GBV album since the band started. The other great pop single on the album is ‘Planet Score and even has a video starring Breaking Bad’s Matt L. Jones. This song is one of those alternative reality chart hits that makes me wish I had control of the Radio 1 playlist. Tobin Sprout also has a lot to offer, he has fully settled back into his role on these albums, playing Colin Moulding to Pollard’s Andy Partridge. The wistful 60s influenced ‘Jupiter Spin’ alone makes his contribution worthwhile. His songs add a balance to Pollard’s tracks and that is one good reason why this line-up of the band works so well. Even as a committed fan I sometimes struggle to keep up with, and process, Pollard’s frenetic output. There are likely to be more GBV albums coming this year and keeping up is my problem and not theirs. If the next album is as engaging and fresh as this one then bring it on. We are delighted to see the return of globe-trotter Paul Coltofeanu, last seen in his Android Angel guise, as the panda-pop genius that is Free Swim. The new video, below, for the song Transatlantic Tumnus is the first taste of their new EP due out later this year. Another year, another video from emerging label Gare Du Nord. After showcasing the video for Ink Run II from Papernut Cambridge we are now pleased to introduce BlackBag, the latest video from Rotifer. This is being released ahead of a double A-side single, featuring the track along with a new song Queen’s Drive. Black Bag, which is on Rotifer’s Top 20 Album of 2013 The Cavalry Never Showed Up, has proved a crowd favourite at gigs, especially when they headlined our Oxjam gig in 2012. The track really is about a Black Bag, being filled by Robert Rotifer during a clear out, and features Paul Rains from Allo Darlin’ on lapsteel. Queen’s Drive, about a Finsbury Park hotel, features Will Glanfield in saxophone. We are informed via their press release that this track is set to herald a danceable, “dare we say funky” new direction on Rotifer’s next album. Black Bag is released on January 27 and can be preordered from i-Tunes here. Former Death in Vegas and Thrashing Doves man Ian Button has been better known to us over the last year or so as drummer and guitar effects chap with Rotifer. Turns out he’s also been spending his time on a solo project under the name Papernut Cambridge. His forthcoming album Cambridge Nutflake (released on November 4th) features some great guitar sounds as you’d expect from Button all behind his whispery Gallagher-esque vocals. Here’s an alternate version of one of the album’s tracks Ink Run. The archive inspired video is by Darren Hayman, who also plays synths on the track. To order the album (which also comes with an EP) visit here, or to buy the digital version visit iTunes. Here’s a short film Neonfiller.com’s Joe Lepper made of his time at Indietracks 2013. No words, thought it best to use the excellent track Tut Tut Tut by The Tuts, one of the highlights of the event. Thanks so much to The Tuts for letting us use their track. Set at the Midlands Steam Railway Centre, Derbyshire, the event spans four stages: an outdoor stage, a train shed, a steam train and the station chapel. The clip below features a host of bands including The Magic Theatre, Bis, Camera Obscura, Owl and Mouse, Enderby’s Room, Fever Dream and of course The Tuts. Neko Case is a bit of a Neon Filler favorite whether that be with her role in the New Pornographers, playing wonderful live sets or on her own solo albums. The last of these was Middle Cyclone which made it in to our top ten albums list when released in 2009. The album was executive-produced by Case and recorded at Wavelab in Tuscon, as well as Portland, Los Angeles and with Phil Palazzolo in Brooklyn. Tucker Martine, Case and Darryl Neudorf mixed the album, with backing by guitarist Paul Rigby, bassist Tom V. Ray, vocalist Kelly Hogan and multi-instrumentalist Jon Rauhouse. Other guests include M. Ward, Steve Turner, Howe Gelb, and members of The New Pornographers, My Morning Jacket, Calexico, Los Lobos and Visqueen. In addition to eleven new songs written by Case, The Worse Things Get… features a cover of ‘Afraid’ by Nico. The first song from the album. ‘Man’, featuring M.Ward on guitar, is available to view below and gives good reason to be excited about what is likely to be one of the best albums of 2013.